Facebook yesterday announced a new streamlined layout for pages that they hope will “make it easier for people to find the information they want and help Page admins find the tools they use most”. The new pages will be rolled out globally throughout the course of this week. Unfortunately, the new “streamlined” Facebook pages are not active yet so we can’t offer a full assessment but judging from the announcement screenshots, the new changes appear more like re-arrangements of features. Firstly, the cover and profile picture remain untouched. If this had changed, the the changes would have been more profound and cause a major shack up. Another important thing to note is the new streamlining does not affect the algorithm so if you already have a winninhg formula in terms of reach, you may want to stick to it but continue to check for updates. 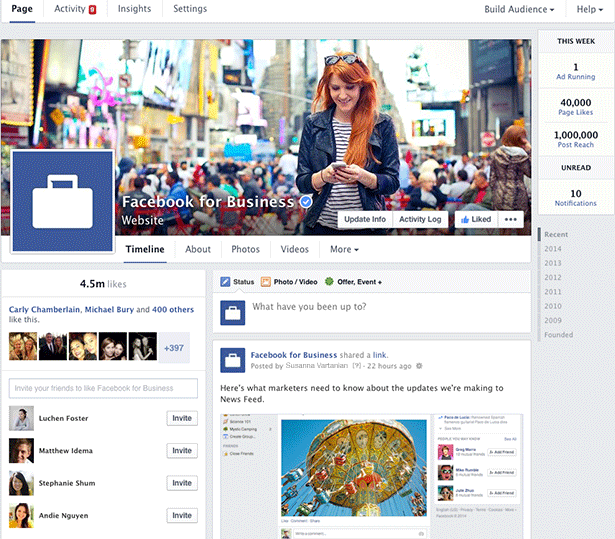 Facebook has primarily changed the layout of everything below the cover page. The new pages will come with the main stories feed on the right replacing the invite friends areas, which we moves to the left in a straight swap. Probably standout change is with how admins can now access page insights. The new pages won’t have a large preview of the page insights before the cover, but just links to the different data admins need for their page. 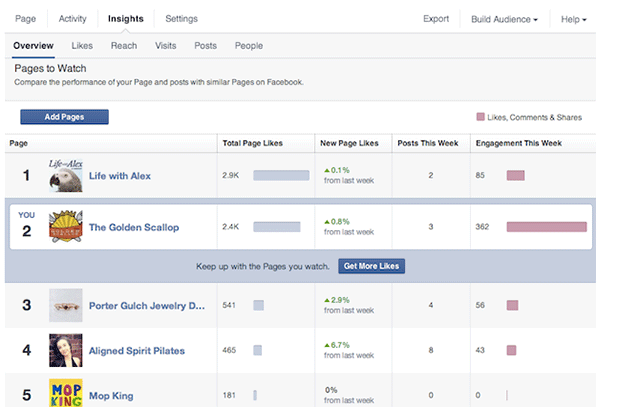 Within the page insights, admins can now use the “Pages to watch” feature which basically enables admins to monitor other Facebook pages. This will be put to good use to monitor performance set against other “benchmark” pages in the same sector.